KINGSTON, Ont. - A man accused in four so-called honour killings went on an emotional diatribe in court Friday about what honour means to him, affirming that he believes his daughters shamed themselves by dating, but adamantly denying he took family honour into his own hands. "I'm not a killer," Mohammad Shafia said, his voice rising, under cross-examination at his murder trial. Crown attorney Laurie Lacelle grilled Shafia about statements recorded secretly by police in which he frequently spoke of honour, saying "Nothing is more dear to me than my honour" and "There's no value of life without honour." "My honour is important for me, but...to kill someone you can't regain your reputation and honour," Shafia said by way of explanation. "Respected lady, you should know that. In our culture, in our religion, if someone kills his wife or daughter, there is no honourless person more than that." Lacelle suggested that Shafia's obvious anger over his 17-year-old and 19-year-old daughters having boyfriends drove him to kill. What his daughters did was dishonourable, Shafia said, but killing them would not have changed that. "That thing doesn't restore honour," he said through an interpreter. "Can you tell me in which religion you kill someone and then that person gains honour? I don't call that honour." 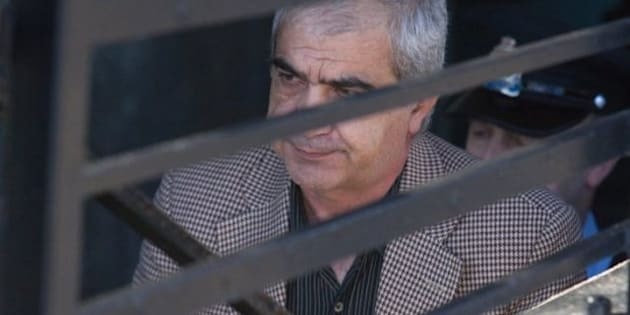 Shafia, 58, his wife Tooba Yahya, 41, and their son Hamed, 20, are accused of killing three teenage Shafia sisters and Shafia's other wife in a polygamous marriage. The bodies of Zainab, 19, Sahar, 17, Geeti, 13, and Rona Amir Mohammad, 52, were found in a car submerged in the locks of a canal in Kingston, Ont., on June 30, 2009. The Montreal family was heading home from a trip to Niagara Falls, Ont., and the family maintains Zainab took the car keys and took the other three for a late-night joy ride that turned tragic. The Crown alleges the family staged the deaths to look like an accident, and that the four were killed because they had been dishonouring the family by either dating, skipping school and acting out, or trying to leave the family. Shafia, Yahya and their son have each pleaded not guilty to four counts of first-degree murder. Shafia said the family is Muslim, and the Koran doesn't give permission to kill people, so they wouldn't have given permission to themselves to do that. "Never, respected lady, we never allow ourselves to do that," Shafia said. "Tooba is a mom...How is it possible that someone will do that to his or her children?" Lacelle suggested Shafia "might do it if you thought they were whores," as court has heard Shafia referred to his children. That applies only to two of his daughters, Shafia suggested. The other two were innocent, he said. "Nothing can cause this, that a person...do such a terrible and heinous thing," Shafia said. "It's impossible." Lacelle spent the day, Shafia's second on the stand, going through his story detail by detail, pointing out myriad inconsistencies and implausibilities. She asked him why, when he said he discovered his children were missing, did he only try to call them once and never asked the motel manager if he had seen them, even though he bought a phone card from him. Shafia replied that he didn't speak English well enough and didn't ask his other, English-speaking children to help him talk to motel staff or call police because he didn't want to wake them up. The family eventually went to police about five hours after they said they discovered the four people were missing. Lacelle grilled Shafia about the family's trip from Niagara Falls to Kingston that day, questioning why they decided to start what would be a seven- or eight-hour drive from Niagara Falls to Montreal at 8 p.m. Shafia said that's when all the kids were finally ready, even though they checked out of one of their two Niagara hotel rooms at 11 a.m.
Lacelle suggested the family planned to leave late so that their alleged victims would be asleep by the time they passed through Kingston. Shafia said his kids were tired and wanted to stop for the night by the time they were about one hour east of Toronto, but they didn't stop until they were in Kingston, two hours later, because it was a bigger city and they knew there would be hotels. Lacelle also questioned why the family drove past all the major Kingston exits on Highway 401, which have signs pointing to various hotels, and got off at a less-populated exit -- the one closest to the canal where the bodies were later found -- where they had to drive around for a while before finding a motel. She noted the family had stayed at a Holiday Inn in Kingston once before. Shafia wasn't driving, so he wasn't paying attention to the signs, he said. Plus, they had actually stopped at the Kingston Mills locks three times before to use the washroom -- twice on a previous road trip and once just days earlier en route to Niagara Falls, he said. At one point during Lacelle's questioning many spectators in the packed courtroom erupted in laughter and several jurors shot each other looks in response to one of Shafia's answers.